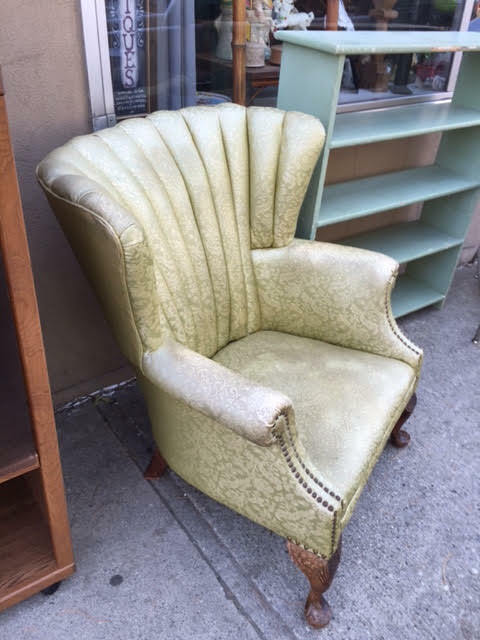 Stunning, classic wingback! This chair was quality made – take a look at the brass studs lining the arms and back. 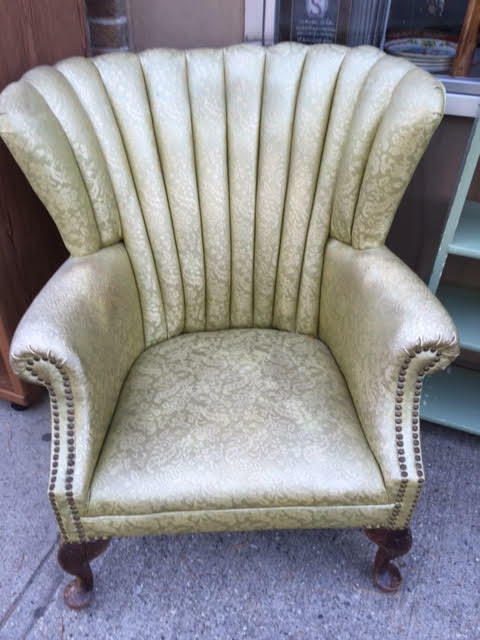 The coloring is a little unusual what with the silvery green, but it is nonetheless a wonderful chair! Condition: Excellent. 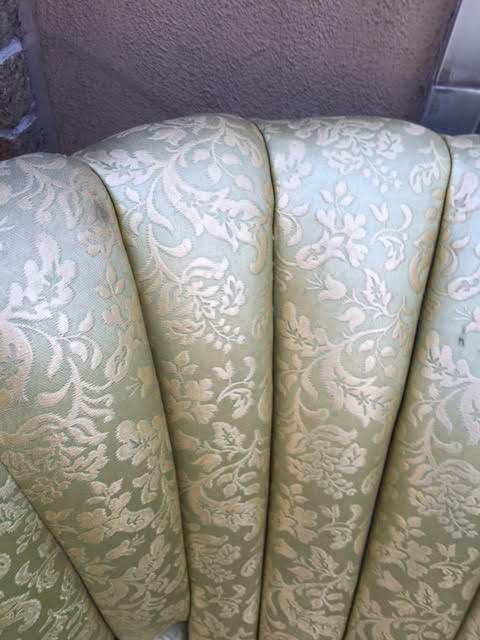 It does have a couple of small dirt smudges as seen in the photo below, but otherwise, it’s a great chair in wonderful condition. 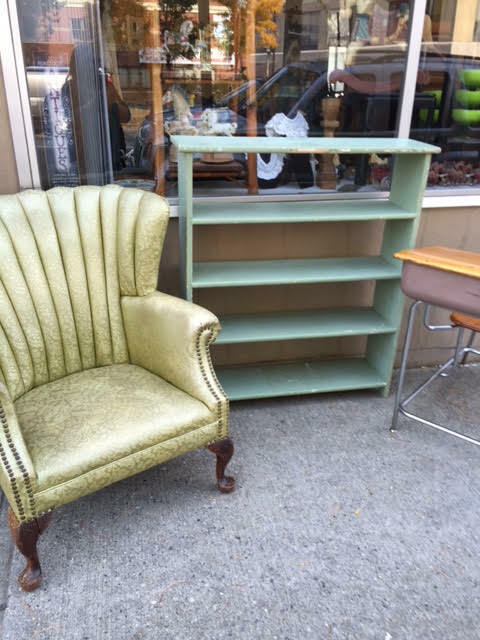 Dimensions: About 37″H (to the top of the back) x 30″W x 32″D. 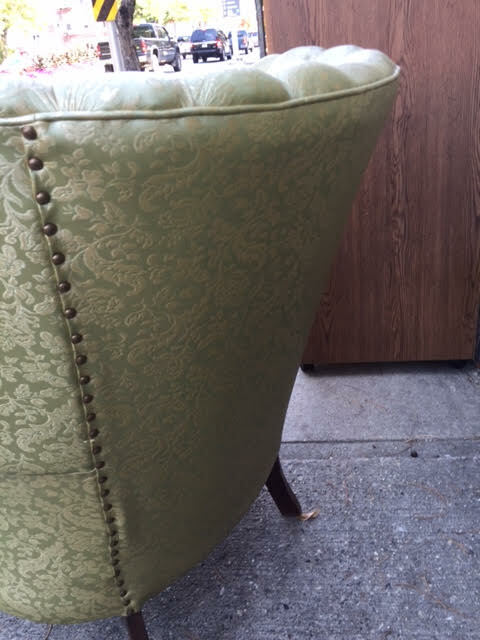 The seat is just 14″ off the floor. 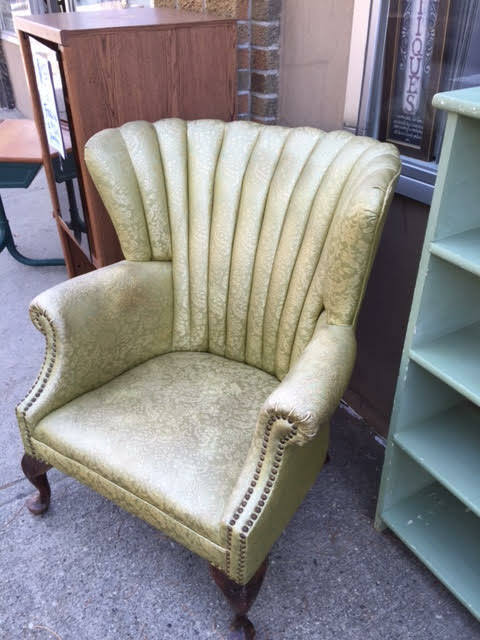 This entry was posted in Furniture - Antique & Vintage, Home Decor and tagged classic wingback, comfortable chair, green chair, Heritage Collectibles, silvery green chair, wingback. Bookmark the permalink.